Wooden poster holders offer a way to make your display look rustic, but professional. 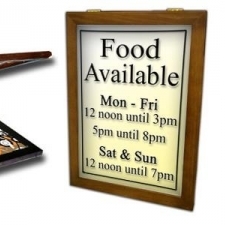 Our wooden displays suit bars, pubs, restaurants and so-forth. 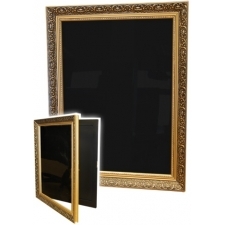 We have a large range of options such as standard chalk board displays, or ornate framed chalkboards. If you require something bespoke, please call us to discuss your needs.